A tailored blend of mixed materials creates layers of texture for heightened visual interest. In this space, a rustic-looking finish and warm grey paint complement sleek marble counters and mirrored door inserts. 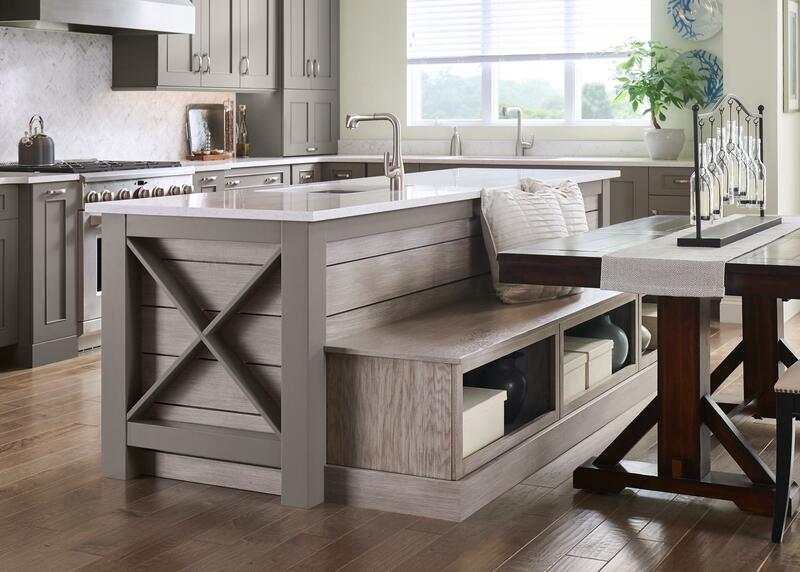 Integrating seating into the island creates a cozy gathering spot. Mirrored Chi mullion doors embellish this kitchen with a hint of glamour. 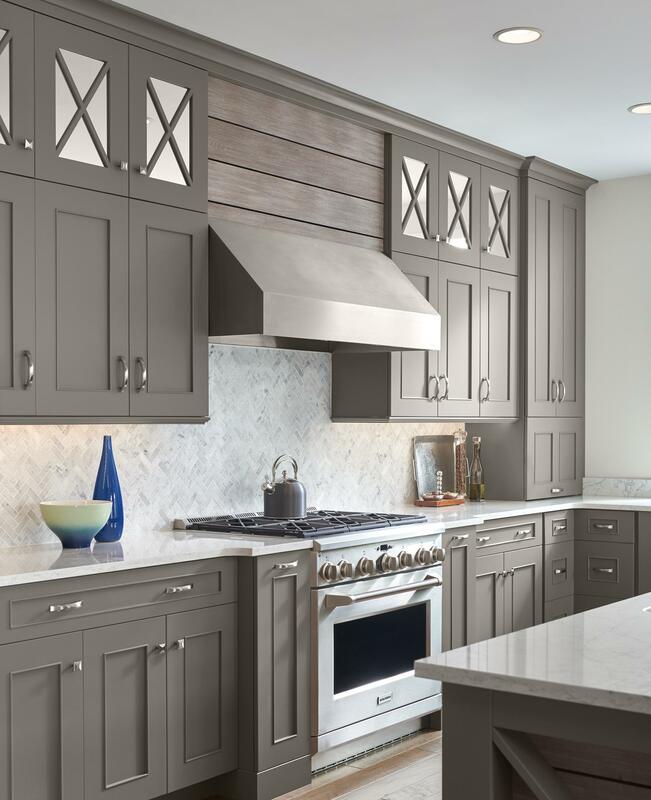 Whether traditional, transitional or contemporary, your vision for your new room is completely possible with the Design-Craft palette of materials. 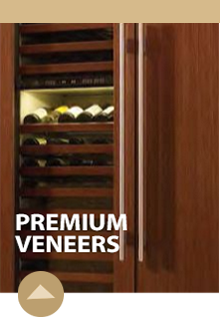 Choices range from woods and veneers to tough thermofoils and dramatic acrylics. 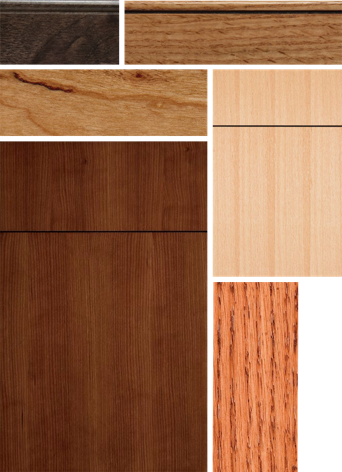 Premium hardwood veneer styles offer uniqueness in color and pattern, creating an exotic feel to your room. From golden rays to curly grain patterns, your cabinets take on the unique, handcrafted look of artisan furniture. With a veneer, the outer edge of these doors is a natural wood product, while an engineered core provides a stable, consistent substrate, virtually eliminating warping. 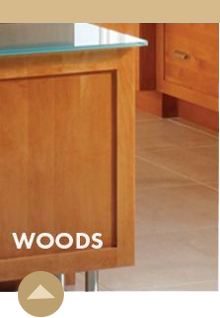 Each natural wood style is finished with a satin or semi-gloss finish topcoat that protects against day-to-day wear. 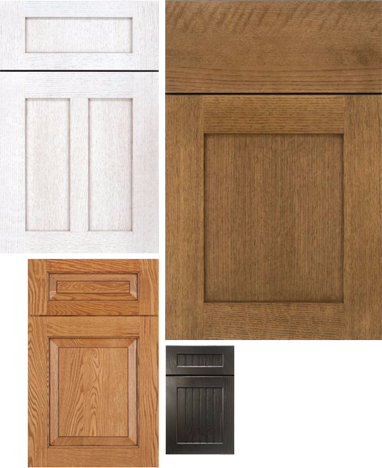 Design-Craft enhances and prolongs the beauty of your wood choice with a selection of finish types that provide amseal against scuffs and wear, for a room that’s as beautiful in 10 years as it is today. Mix and match a wide variety of woods — from rich-hued cherry to light and uniform maple. Premium veneers offer a highly impactful aesthetic. 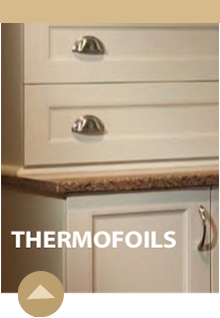 Select a subtle textured veneer or go exotic throughout your home. Low maintenance and grace work together with thermofoils. Get clean looks with matte finishes or go modern with a highly polished gloss. 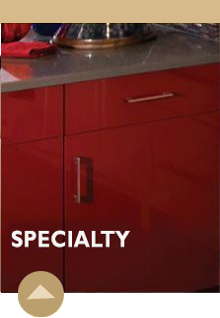 Make a statement with specialty materials. Choose a highly reflective acrylic or a nature-inspired textured melamine.